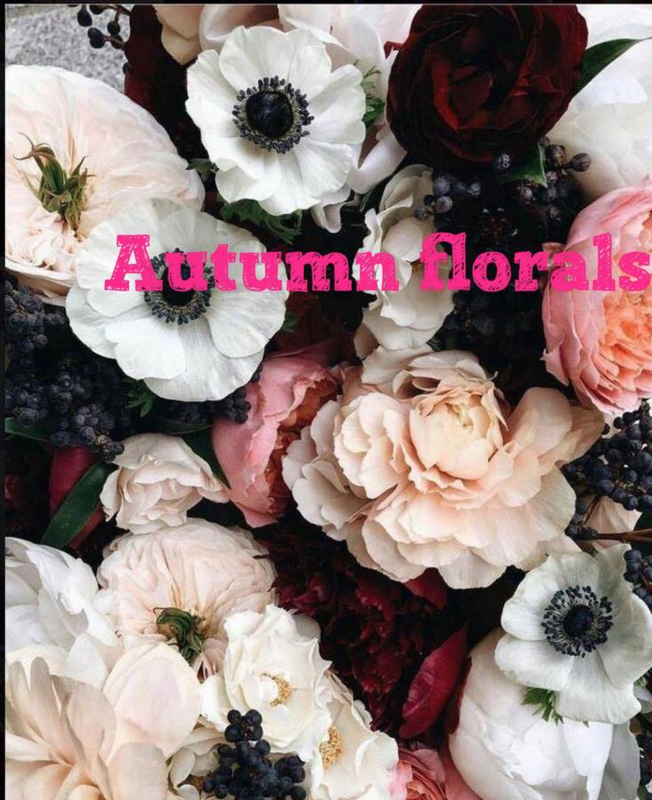 This Autumn, Swish Plus Size Fashion, offers up a dazzling array of autumnal florals, guaranteed to delight and tempt. With stylish temptations, in glorious fabrics and colours, ranging in size from 10 to 26, how can we resist. Stunning and a complete temptation is the ‘Bird Sanctuary Jacket’. What I love about this piece is that it is equally gorgeous on a brunette or a blonde. Soft and cozy, reminiscent of the lacquered salons of the 1920s and Coco Chanel herself, this piece will lift your style game this Autumn. And so, so easy to style, just layer simple jersey basics – a cami and either a Ponte point pant or a loose flowing pant – and you’re set for a luncheon or evening soiree. Keep your basics tonal with clean lines in a block colour under this patterned beauty. What about the dramatic show stopping beauty of the Poppy Over shirt. This is my favourite floral this season, I love the large almost oriental print quality of this top – truly stunning. This ensemble would be perfect for an Autumn cruise or wedding guest outfit. Equally stunning for a mother of the bride look this season. What three words will change your style game stay forever? 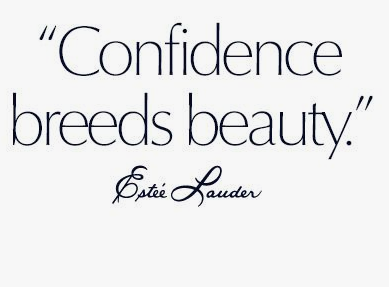 We all want to stay true to our personal style and we all hope that our fashion purchases match our style mantra. But how do you declare a style mantra if you just don’t know what it is? Instead of saying ‘how do I dress my body?’ or ‘I don’t know what to wear’, there are three words, a simple go-to-fashion-formula, that ensures you stay true to your personal style. It’s as simple as selecting three words to define your personal style. My three words, depending on my mood, are feminine, elegant and unexpected. I love the unexpected detail in an outfit, whether it is an unexpected shoe choice or an unexpected way to knot a long cardi or short bolero. I keep the words, ‘feminine, elegant and unexpected’, in my mind, when making shopping purchases too. These three words are a style game changer for me. Now let’s find the three style words that leap out for you. 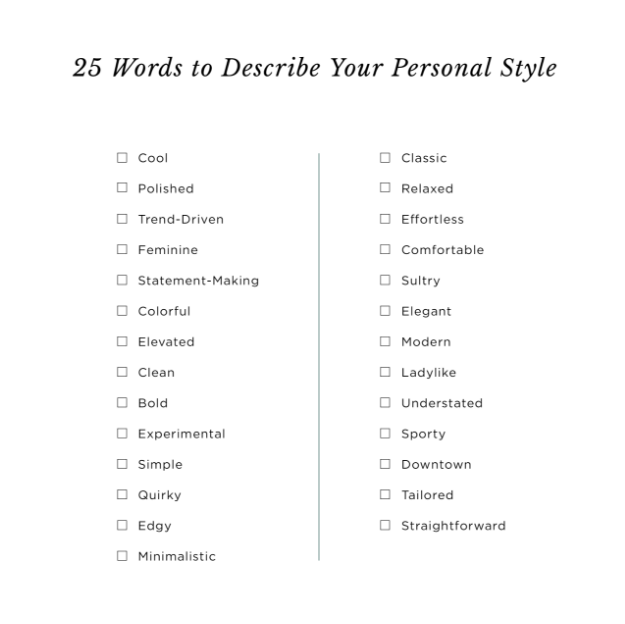 Here is a curated list of 25 words for you to recover the words that define your style. Print out the list, or screen save and print from your phone. Then arm yourself with a giant highlighter and begin highlighting all the words that embody your personal style. When you have finished, you now have grasped in your own hands, your own personal style guide, styled by your own personal stylist – YOU! And, when we feel great in our own skin and dress in clothes that express our unique inner style, we can’t help smiling and our joy beams out and makes all those we meet, feel like smiling too. I wish you all a fantastic, safe and happy Easter. I know I will be cooking up some treats and enjoying some chocolates and treats with people I love most this weekend. Happy Easter!